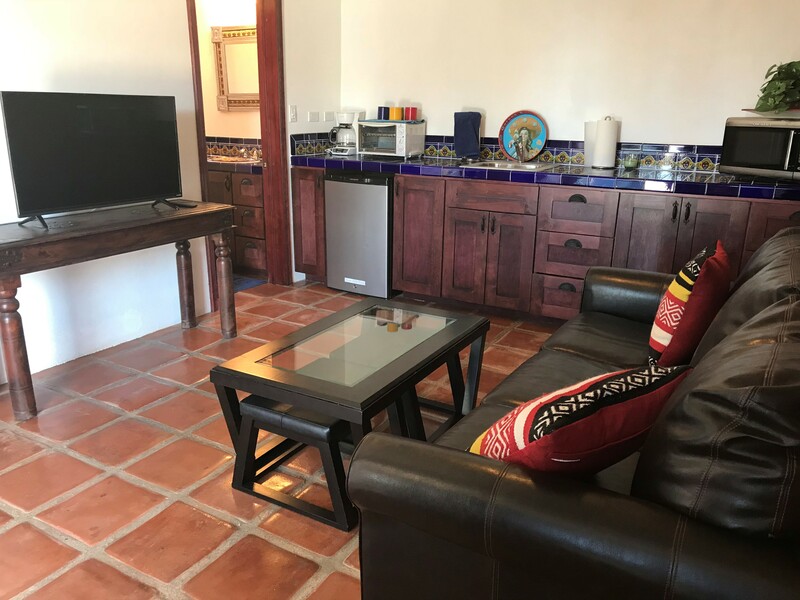 You’ll love staying at Suite by the Sea, our 1-bedroom rental in Las Gaviotas, 118 Los Pelicanos Este. Only a 1/2 hour’s drive from the San Diego/Mexico border. 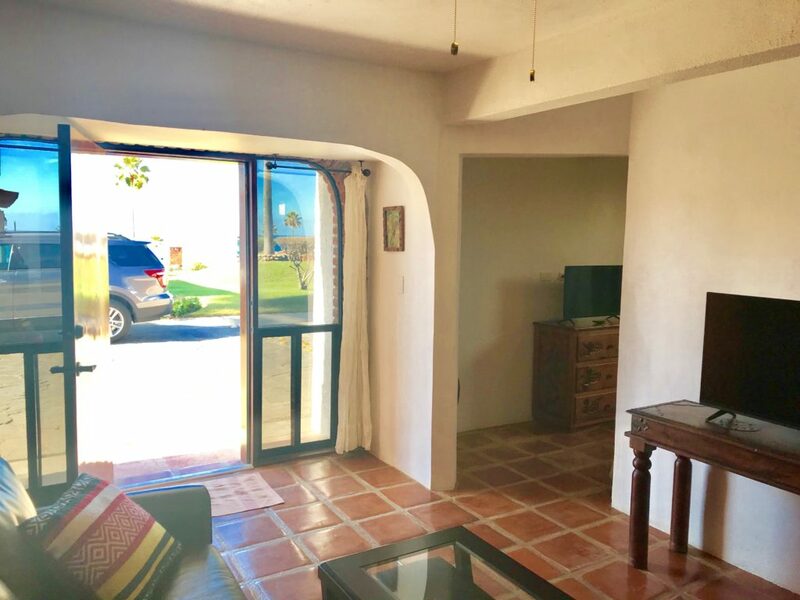 This newly remodeled downstairs guest suite is a very short walk on a simple sloped pathway (or steps) to the sandy beach for surfing, volleyball, tide pools, barbecuing or relaxing under the palapas. The beach is south facing, alike Malibu in California. There is an ocean and park view from the living area. The surf line-up is visible from the park across the street, which is available for general use. Beach chairs are stowed under the beds. 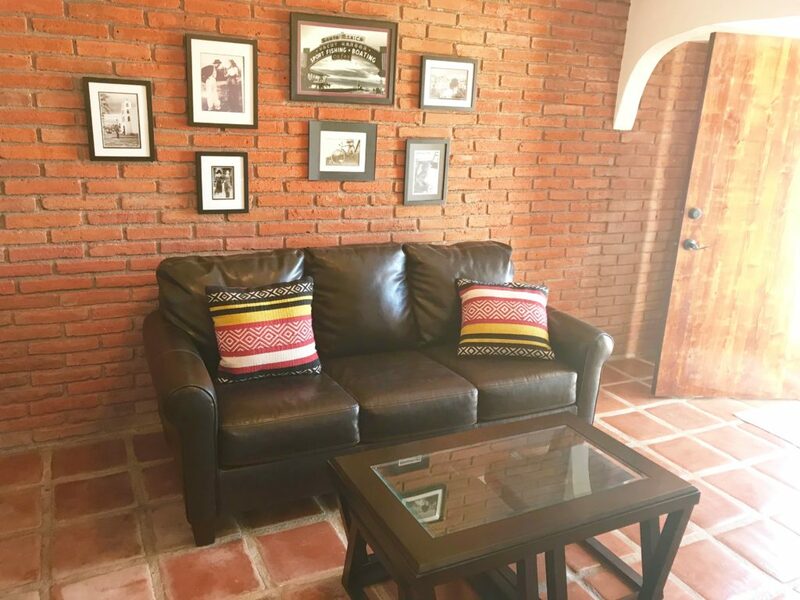 Wi-Fi, cable television and ceiling fans are provided in the living/dining area and in the bedroom. Mirrored glass windows ensure privacy during the day; drapes provide privacy at night. The kitchenette offers a mini-fridge with a small freezer, coffee maker, toaster oven and microwave. Utensils, glasses, plates and coffee mugs are provided. The living area offers a leather couch and a coffee table with two extra pullout stools for sharing appetizers (or more) with new friends. The bedroom provides two twin beds, extra blankets and a space heater. 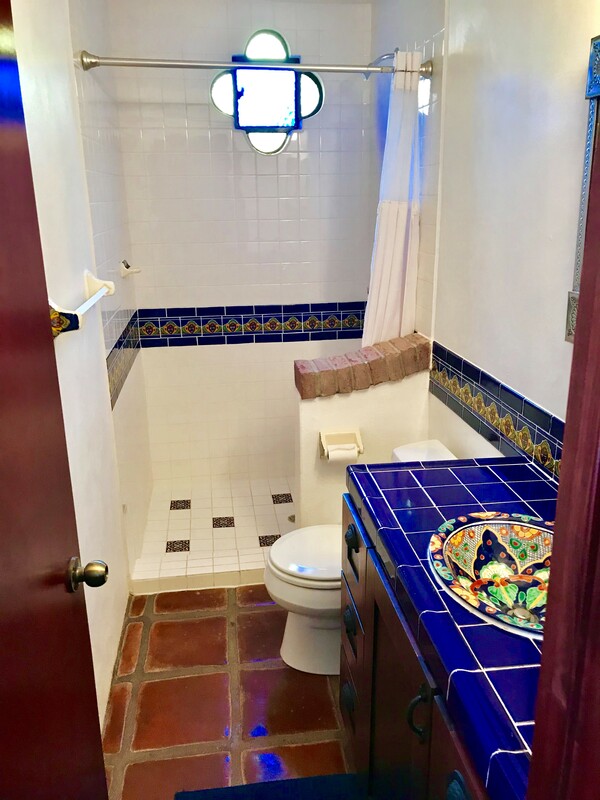 The bathroom features traditional talavera tile and provides ample storage for toiletries. Surfers: Boards can be stored behind the couch. PARKING FOR ONE CAR ONLY. PLEASE BRING YOU OWN TOWELS. KITCHEN TOWELS ARE PROVIDED. Las Gaviotas is a guard gated North American community in Baja California, Mexico, with excellent security. It boasts a long macadam on which you can walk overlooking the ocean. Whales and dolphins are frequently sighted. 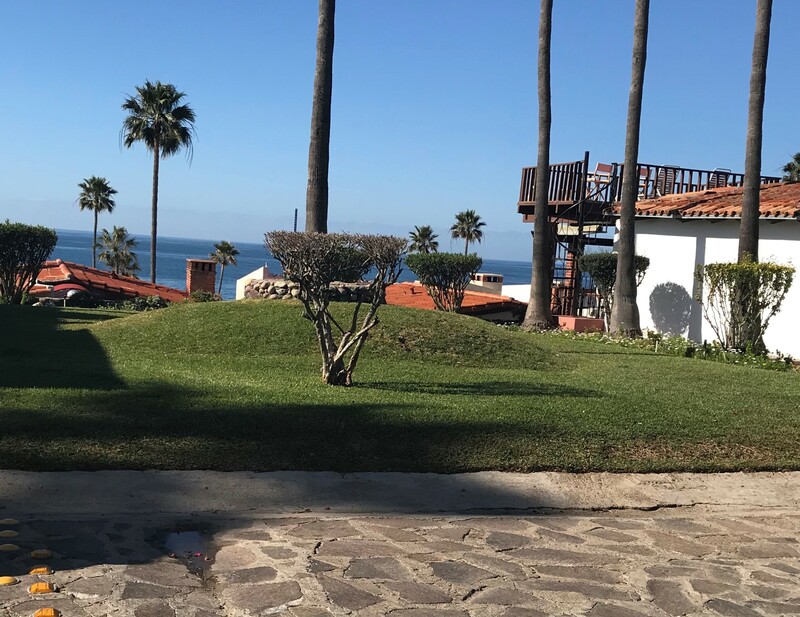 The landscaping, heated pool, “Jacuzzi”, regulation tennis court, children’s play area, and frequent open park spaces makes it stands out from any other community in Northern Baja. 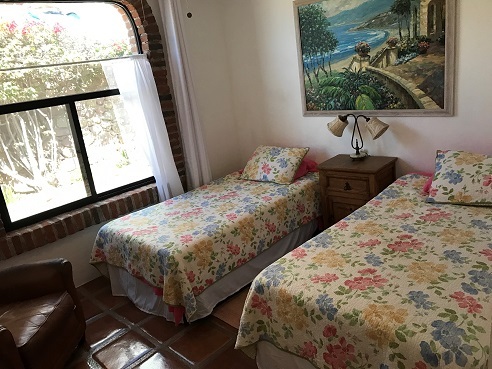 Las Gaviotas is two kilometers from Puerto Nuevo, the “Lobster Capitol of the World”. Taxis are available at the guard gate. October – April $100 per night. $100. security deposit, refundable after verification of no fines or damages. Check-in in time is 3:00 pm on day of arrival; check-out is 11:00 am. 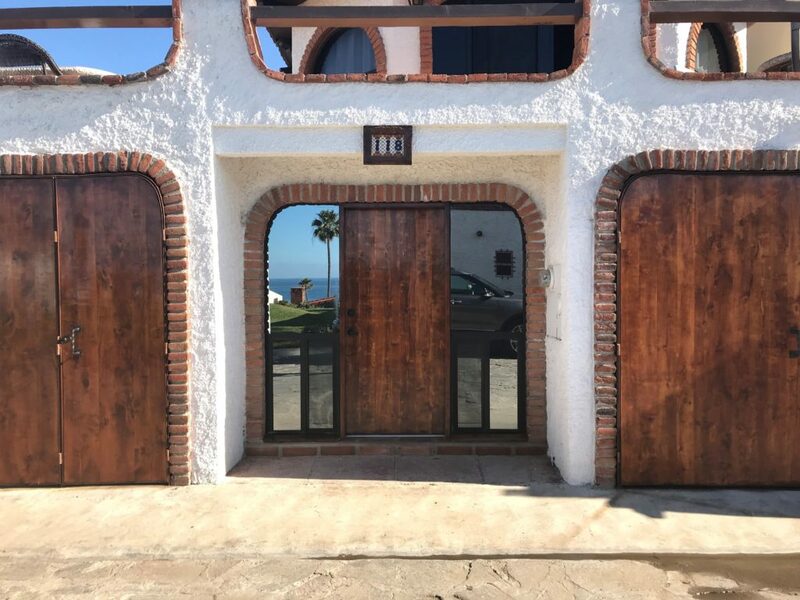 3 Bedroom, 2 Bath, Las Gaviotas Home. Enter our email address kevindwyer6622@Gmail.com and the amount you’re paying.